Think about your own personality style for a minute. Do you crave order and organization, or are you a creative, “fly by the seat of your pants” kind of person? Do you like to lead the way, or do you prefer to blend into the crowd? Do you have endless patience, or are you a “short fuse?” Maybe, depending on the setting, you could lean either way. Now, reflect on the personalities of those you work with. As you’re thinking, two main themes are probably presenting themselves—those you get along with, and those you don’t! At times in early childhood programs, personality clashes may develop among the adults working within the same program. Take my first classroom teaching experience, for example. At 21-years-old, fresh out of college with my brand spanking new early childhood degree, I accepted the position of lead teacher in a 4-year-old classroom. My assistant teacher was a woman in her 50’s (let’s call her “Jane”), who had been at this program for a little more than a decade, and had been teaching young children for over 20 years. The only reason Jane wasn’t the lead teacher in this classroom was her lack of formal education. At first, Jane and I were very closed off around each other, sizing each other up daily. She was much more dominant than I in the classroom, and I had a much more progressive teaching philosophy than she did. It became obvious very quickly that she was “old school” and I was “new school.” The children figured this out quickly, and in a very short span of time, they began to play us against one another. Neither Jane nor I seemed to be able to figure out how to find some common ground, and the children were taking advantage of our discord. As time passed, Jane and I discovered that, outside of the classroom, we had a very similar sense of humor. At staff meetings or break times, we could eventually make each other laugh to the point of tears. Once we broke the ice between us with humor, slowly but surely we started to come together and make a better plan for how things should happen in our classroom. We began to see each other as a team, rather than adversaries. By each of us compromising a bit, we finally got on the same page and backed each other up in front of the children. The day I left our classroom almost two years later, Jane and I hugged and laughed and cried, and I still think of her fondly to this day, 18 years later. Keep what happens between the two of you just between the two of you. Running off at the mouth to other staff members about your frustrations with another teacher just breeds mistrust and resentment. Try to find some common ground. Talk with each other—discover your likes and dislikes. Become human to each other. Who knows? Maybe your mutual love of The Very Hungry Caterpillar could be the spark that ignites a great teaching team! Avoid confrontation when tensions are running high. Cool off, take some deep breaths and/or count to ten before you discuss something you disagree about, preferably out of the classroom. Consider your own actions/reactions. Is your behavior contributing to the situation? Is there something you could be doing differently to change what’s happening? Encourage your program’s administrator to have each staff member take a personality test like the DISC or Myers-Briggs. Discovering everyone’s strengths and preferences goes a long way in learning how to communicate effectively with each other. 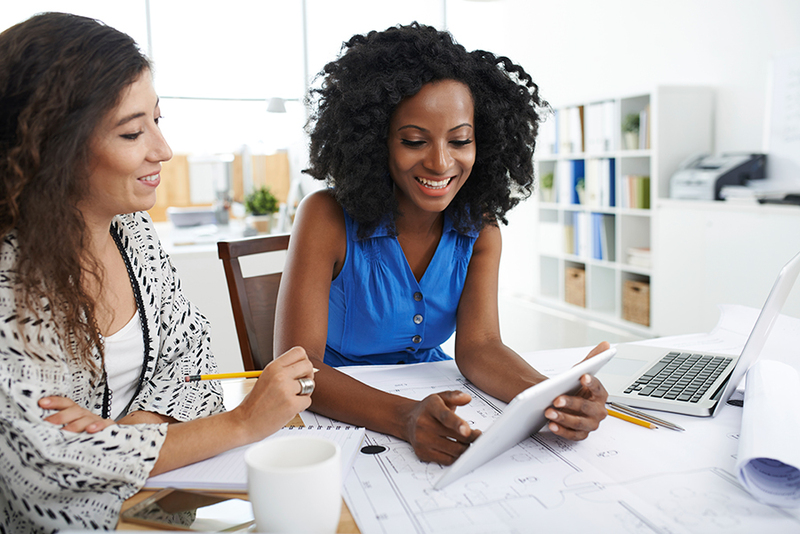 Regardless of where you fall on the personality spectrum, in the workplace you rarely get to choose who works alongside you. Try to make the best of your situation and see someone for what makes them great instead of what makes them grate on your nerves! This entry was posted in Directors & Administrators, teachers and tagged co-workers, early childhood classroom on May 26, 2017 by Merideth Burton. Children experience big emotions. When they’re happy, they’re ecstatic! When they’re mad, they’re FURIOUS. And when they’re sad, they’re absolutely sorrowful. When children experience life changing events, such as the death of a loved one, these emotions often get all jumbled up in their little bodies, and can be very overwhelming. It is our job, as the adults who care for them, to help guide children through the process of grieving in a healthy way— a way that will allow them to process their emotions and move on. A few months ago, my father passed away. My children’s grandfather—the silly, loving, larger-than-life man they had come to know and love—was there one day, and tragically gone the next. This event shook our family to its core. All of us were dealing with so many emotions that often changed from one moment to the next. How was I, in the midst of my immense grief, going to help my children cope with this loss? The morning of my dad’s passing, my husband and I sat down with my children to talk to them. I gathered my son under one arm, and my daughter under the other, and I began to speak. “I need to talk to you. You know that grandpa was in the hospital because he wasn’t feeling well. The doctors and nurses tried their very best to make him better, but they weren’t able to fix what wasn’t working right in his body. Grandpa died this morning. Grandma and I were with him, and he was surrounded by our love when he died.” At this moment, both of my children began sobbing into my shoulders. I hugged them tighter, began to cry myself, and went on, “Please know that he loved you very, very much. And be certain that he knew how much you loved him. It’s ok to be sad, or mad, or however else you feel. It’s ok to cry.” And that’s just what we did. Each of us dealt with our grief differently. My 4-year-old daughter talked about grandpa a lot, and even asked questions like, “So, we’re not going to see grandpa anymore, right? Like Stella?” (Stella was our cat who had died the previous year.) She drew lots of pictures— pictures of grandpa wearing his signature plaid shirts, pictures she wanted to give to grandpa, “if he was still alive.” My 9-year-old son was more private in his sadness. From time to time, a few tears would slip out when something reminded him of grandpa. Then, one day, I was outside cleaning out my dad’s truck. Inside, I found a photograph my dad had been carrying around of my son, taken while sitting on my dad’s lap. My son came up behind me and asked what I was doing. I showed him the picture and asked him if he wanted it. He shook his head yes, sat down on the concrete, and began to weep. I sat down with him, as did his sister. We all put our arms around each other, hugged, and cried, for a long time, right there in the driveway. Use simple, clear words that leave no room for misinterpretation. Avoid using euphemisms like “gone to sleep” or “went away” that could lead to scary or misleading thoughts. Let children talk or ask questions. Really listen to what they say without judgment, and try to answer their questions honestly, using terms they’ll understand. Allow children to cry. Telling a child “You’re okay, you’re okay,” only negates their feelings and pushes them back down inside. They’re NOT okay, and they won’t be okay until they’re able to let those feelings out. Cry with them. It’s normal and healthy to express sadness through tears, and modeling that yourself can be beneficial for both of you. Help children remember. Talking about their loved one, telling stories about them, drawing pictures of them, and recalling fond memories they shared together are all things that will help a child get to the final stage of grief—acceptance. Remember, grief has no timeline. Whatever period of time it takes a child to process the death of a loved one is the time that’s right for them. As early childhood professionals, our role is simply to be there to support them, to listen, to provide stability, and most of all, to care. This entry was posted in Best Practice, teachers and tagged grief, social emotional on December 27, 2016 by Merideth Burton. Worksheets… I will admit— I used them. I used them for one school year. With every letter of the week I presented to my class, I had a ditto to go with it. Trace the Aa’s. Write the Aa’s. Color the apple red. And don’t forget to write your name on the top. During my first seven years as a preschool teacher, I didn’t use worksheets at all. I relied on what I had learned during my education and experience about engaging children in hands-on experiences to teach. And it was working. “Wow,” I thought. “Teaching, I’m TEACHING! And my kids are LEARNING! I know it—I see it!” But at that moment, what I actually said was a jumble of words about all of the exciting things we were working on in my room in the hopes that I would say something that would allow me to keep my job. My director responded by reminding me that as a teacher in a pre-k classroom I had a responsibility to prepare the kids in my class for kindergarten, and that meant, yes, you guessed it, using worksheets. So, the next time I sat down to write my lesson plans, begrudgingly, I included worksheets. Trace the Aa’s. Write the Aa’s. Color the apple red. It seemed to fly in the face of everything I had come to know about educating young children up until that point, but that’s what my director wanted, and that’s what the parents in my classroom obviously wanted (or so I thought), so that’s what I did. For the rest of that school year, I continued to use a mixture of seated time doing worksheets and engaging, real world experiences in my classroom. Making slime, however, attracted every child in my class like moths to a flame. Measuring out the ingredients, talking about the texture, observing the chemical reaction that occurred when we mixed everything together was something that every single child in my class COULDN’T WAIT to do. And then adding dinosaurs to the mix?! Forget about it! In that one activity, my class was learning math and science concepts, working on fine motor skill development and having a great time doing it all. When they sat down to do a worksheet, not so much. So, as early childhood educators, we know that real-world, hands-on, interactive experiences based on familiar topics are how young children learn best. How do we ensure this is how the children in our programs are being taught? Provide learning experiences that children get excited about, and want to participate in. Base your lesson planning around topics that interest them or questions they ask, and include opportunities for them to BE ACTIVE! Get excited! Use an animated tone of voice and interesting facial expressions. Children’s level of interest in a particular activity is often directly related to the affect you take on when presenting it. Toot your own horn! Document what goes on in your classroom by taking, and posting, photos of children engaged in the learning process. Include direct quotes from the children, if possible. Communicate with families about the learning that’s happening every day in your classroom. Write a daily note, a newsletter and/or have a face-to-face conversation about all of the great things you’re doing with your class. Educate families about how young children learn and develop through play. For example, explain that before they can write their name, children need to do things like mold with playdough and build with Legos to develop the muscles they need to write. If you’re using worksheets in your classroom right now, I encourage you to take the leap, try another way. I promise you, you’ll be pleasantly surprised by what happens when worksheets go by the wayside. This entry was posted in Best Practice, Early Childhood, learning through play, Preschool and tagged worksheets on November 18, 2016 by Merideth Burton. Election Day is just around the corner. One of the most crucial topics being brought to the forefront of voters’ minds this election year is that of investing in quality educational experiences for young children. Those of us in the field of early childhood have long been aware of the importance of this topic, but we are finally starting to hear the leaders (and potential leaders) of our communities, and of this nation, give it some credence. Investing money in young children has been proven, time and again, to yield numerous benefits down the road for the individual child, his/her family, and society as a whole. A report entitled “The Economics of Early Childhood Investments” published in December 2014 cited reductions in crime, as well as lower expenditures on health care and remedial education down the road as just a few of the societal benefits to investing in early childhood. Families who have dependable, high-quality child care options are able to remain productive members of the workforce. Children who experience quality early care and education experiences, by and large, are more likely to grow up to become contributing members of society, themselves. At this point in our nation’s history, we, as early childhood educators, have a unique opportunity. We can use our first hand experiences working with young children, our depth of knowledge about child development, and our collective voice as early childhood professionals to spread the message to our leaders that young children, and those of us who educate and care for them, deserve the resources necessary to create high quality early learning environments and experiences. Visit websites like 4cforchildren.org. www.usa.childcareaware.org, or www.naeyc.org on a regular basis to stay educated about current topics, research and best practices in early childhood. Join, and become active in, early childhood professional organizations like NAEYC (the National Association for the Education of Young Children), NAFCC (the National Association for Family Child Care), or CEC (the Council for Exceptional Children), to name a few. 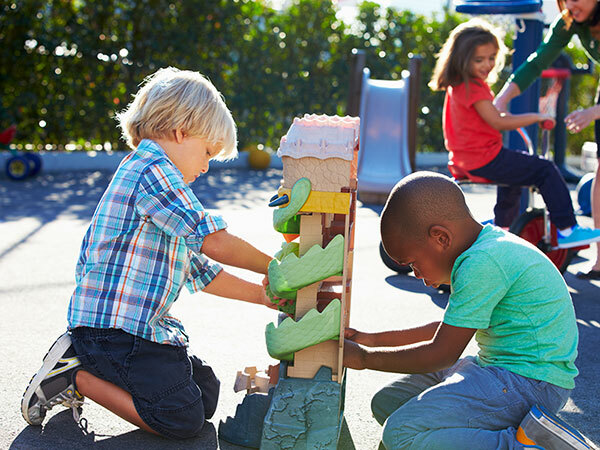 Contact your state representative and/or the White House to express your thoughts, feelings, opinions and concerns regarding quality early childhood in your area. You can find contact info for state reps here. You can contact the White House here. Find out if the candidates in your area have platforms on early childhood education and child care. Remember to spread the word, every chance you get, to your family, friends, neighbors, co-workers and community leaders about the importance of investing in early childhood education. There is strength in numbers. By uniting and taking action, we can improve the state of early childhood education in our communities, and our nation, for the benefit of the children in our care, and for generations of children yet to come. This entry was posted in Early Childhood, protecting children and tagged advocacy, advocating for children on November 3, 2016 by Merideth Burton. Many of us who hold positions of leadership in early childhood dug our way through the trenches to get there. We may have started out as floaters, or assistant teachers, worked our way to becoming leads, and then made the leap to administration. Often, these steps may happen within the same program, putting us in the position of leading those who were our peers just a moment ago. It is human nature to want to feel accepted. Especially by those who we work closely with, respect and admire. When you become a classroom teacher in an early childhood setting, the nature of your position and the environment in which you work can often lead teachers to become fast friends. When there is more than one teacher working in the same classroom, this bond can be especially deep. As the only two adults in the room, you support each other. You listen to each other vent. Together, you make your classroom run like a well-oiled machine—her strengths make up for your weaknesses, and vice versa. Then, suddenly, with your promotion to administrator, this changes. You’re working in “the office” now. You have a whole new set of responsibilities, a completely new role…and all of your staff is watching to see if you’re going to sink or swim. This can be a lonely, isolating experience for many of us. Be proud of your new role, but not boastful. You made it to the top – yay, yippee, good for you! But don’t forget that everyone else is still doing the same job they did yesterday. Expect social roles to change. Expect it. No really, EXPECT IT. You are now the superior, responsible for evaluating, hiring and firing the very same people whom you had coffee with last week. Seek out others who are in a situation similar to yours. If you’re lucky enough to have other administrators at your program or organization, get to know them. If you’re the only one in charge, Look for professional development offerings geared toward administrators (Check out 4C’s opportunities in Southwest Ohio, the Miami Valley, and Kentucky) to help you be successful in your new role. It helps to meet others you can talk to who have walked a mile in your shoes or are experiencing the same things. Observe other early childhood leaders—take note of their various leadership styles. Visit other quality early childhood programs in your area and observe a day in the life of the administrator. This serves two purposes—it gives you a glimpse into what your new position may consist of from day to day, and it allows you to learn about leading and motivating staff in a positive way. Get input from your staff when possible. When people feel like they matter in an organization—like their voice, their opinion, is important and valued – they are much more likely to be a “team player” and make positive contributions to their work environment. When you enter into a leadership role, remember that day in and day out, you will be setting the example your staff will follow. People will look to you for guidance, even when you may not be quite sure which way to steer them. It is up to you to lead your program with confidence, positivity and a genuine passion for providing all children the quality early childhood experiences they deserve. This entry was posted in Directors & Administrators, Professional Development and tagged staff management on September 26, 2016 by Merideth Burton.